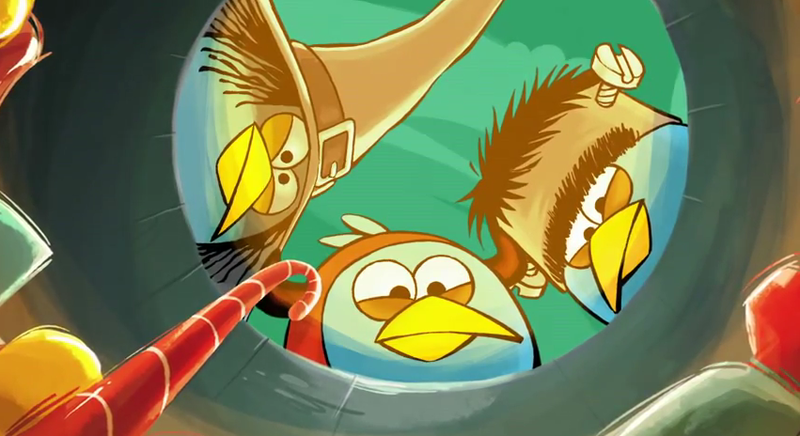 Halloween Angry Birds Edition Is On The Way, With Surprise Guest Appearance? Rovio is about to release a spooky addition to the Angry Birds franchise just in time for ghoul-filled holiday. We see a few birdies dressed up in costumes and then they stumble upon a bucket filled with candy(?) There is minor speculation (I stress minor) that it could be none other than Om Nom, the beloved creature from Cut The Rope inside the bucket. Guess we’ll know soon enough. What do you think? Om Nom? Pumpkin Pigs?